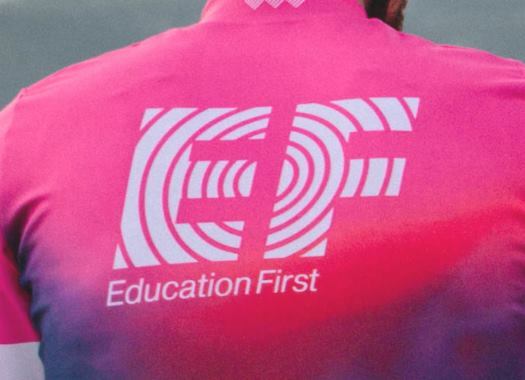 EF Education First's Sep Vanmarcke has finished in the fourth position of Paris-Roubaix but he is very disappointed in this result. The rider didn't have good luck as he suffered a mechanical problem and had to wait for a replacement bike. Vanmarcke crashed out of the E3 BinckBank Classic with a hit in his knee and ankle. After skipping Gent-Wevelgem to recover, the rider used the Tour of Flanders and the Scheldeprijs to finish off his preparation and be in top form for Paris-Roubaix but his shape was not the problem. The Belgian was part of the front group of the race after the sector of the Arenberg and managed to stay with the others despite the multiple attacks. But at sector number four, he suffered a mechanical problem and had to wait for his team car to get a new bike. "I saw the bike from Sep after the race," explained Sports Director Andreas Klier. "It was the first thing I wanted to see. He had a crash mid-race and hit the back derailleur and it's smashed up, and that caused the problem after Carrefour de l'Arbre." Vanmarcke attended the journalists after the race with tears in his eyes. "I’m very, very disappointed of course," he commented. "After all what happened the last weeks, I had to fight very hard to come back, even when I couldn’t train. Last week I did everything I could with a bad knee to still train and get the best level possible. Today I knew if I did everything perfectly, I could still be close to victory. And today I did everything perfectly. I didn’t make one mistake. "But then on the Carrefour de l‘Arbre, my derailleur stopped working. I went into the 11 and I couldn’t do anything anymore. I had to wait for 10 kilometres for a new bike and it killed my legs. I had to let the victory go. It was in my legs but because of the bike, I couldn’t fight for it."